Spotting these trends has been a lucrative business model for many entrepreneurs that have been able to execute and adapt to the rapidly changing tech environment. 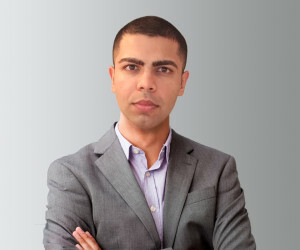 Internet entrepreneur Khuram Dhanani has been able to do just that in the e-commerce industry. In the last decade, Dhanani has built and sold many multi-million dollar e-commerce businesses, including e-commerce giants Clear Spark and ZQ Network. The ability to spot trends, stay one step ahead, and successfully adapt to change has been the key to his success. Dhanani believes there are five key internet marketing trends to look out for moving forward. Traditionally, search engines ranking have primarily been determined by link building. This has changed in recent years due to Google’s algorithm updates and patches to prevent web SPAM. The new algorithm takes into account a variety of things such as social signals, content marketing, etc. While aggressive marketers will continue to try and game the system, the vast majority will find it much easier to build a real business that focuses on adding genuine value via social and content marketing. The term “Search Engine Optimization” will be thought of more in terms of technical on-page factors. Smart marketers in the industry saw this coming years ago & started to prepare accordingly, while the unsophisticated continued to focus on traditional link building strategies. All statistics are pointing to the decline of traditional banner ad media buying. However, banner retargeting is on the rise. You aren’t the only one who gave in and purchased those fancy shoes because the banner had been following you around the web for a few weeks. It’s happening more and more. Retargeting is very effective for numerous reasons and is obviously a better option in comparison to a cold media buy. Khuram pointed to a number of studies that have shown repeat exposure is key to creating familiarity and trust – which leads to more sales. Do you remember when few businesses had a website? A few years later having a website became the norm for any business to survive. The same happened with social media marketing several years ago. According to Dhanani, mobile is the next big thing. Having a mobile friendly website is vital for any online business. Consumers are trending towards browsing more and more on smart phones and tablets. Consumers are annoyed with traditional marketing more so now then anytime in history. They know exactly what you are trying to do and simply ignore it. If by some miracle they don’t skip your commercials or change the radio station, your advertising still isn’t connecting the way it used to. The future is clearly content marketing. The best way to establish authority, gain trust, have a connection, and of course sell your product and/or service is by publishing content that offers the reader value. Mass marketing through television and radio does not cut it anymore, instead you must engage with your audience and truly connect with them on a human basis. “If you are a start-up, don’t think about conquering the world within sixty days; rather, think about what niche you can dominate”, says Dhanani. That doesn’t mean you will be a niche player forever. You should definitely have an ambitious long-term vision that surpasses where you start. The key is to be laser focused on owning a niche and scale up from there. Too many companies fail because they try to go big from day one and are spread far too thin. This equally applies to every web-based business model and every internet marketing strategy out there. Start with the niche in mind. Khuram Dhanani believes these five online marketing trends will be important as we enter the fourth quarter of 2015. While it will be likely difficult to evolve and adapt to every single one of these trends, by having a good sense for where the market is headed, we can prepare ourselves so when the changes do come we are well prepared. As we all know, they inevitably come.